2018 Kia Rio LX Test Drive Aurora Black 4D Hatchback 1.6L 4-Cylinder Automatic FWD ABS brakes, Air Conditioning, AM/FM radio: SiriusXM, Brake assist, Bumpers: body-color, Electronic Stability Control, Fully automatic headlights, Outside temperature display, Passenger vanity mirror, Radio: AM/FM/MP3 Audio System, Spoiler. Priced below KBB Fair Purchase Price! 28/37 City/Highway MPG Come on in to Ron Tonkin Kia in Gladstone to test drive today! 2018 Kia Rio LX Test Drive Clear White 4D Hatchback 1.6L 4-Cylinder Automatic FWD ABS brakes, Brake assist, Electronic Stability Control, Fully automatic headlights, Passenger door bin, Speed-sensing steering, Spoiler, Traction control. Priced below KBB Fair Purchase Price! 28/37 City/Highway MPG Come on in to Ron Tonkin Kia in Gladstone to test drive today! 2018 Kia Rio LX Test Drive Aurora Black 4D Hatchback 1.6L 4-Cylinder Automatic FWD 15" x 5.5J Steel Wheels, ABS brakes, Brake assist, Electronic Stability Control, Fully automatic headlights, Spoiler. Priced below KBB Fair Purchase Price! 28/37 City/Highway MPG Come on in to Ron Tonkin Kia in Gladstone to test drive today! 2018 Kia Rio LX Test Drive Aurora Black 4D Hatchback 1.6L 4-Cylinder Automatic FWD 15" x 5.5J Steel Wheels, 4 Speakers, ABS brakes, Brake assist, Electronic Stability Control, Fully automatic headlights, Passenger door bin, Rear window wiper, Variably intermittent wipers. Priced below KBB Fair Purchase Price! 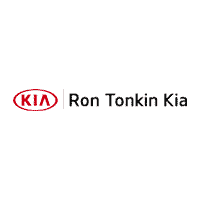 28/37 City/Highway MPG Come on in to Ron Tonkin Kia in Gladstone to test drive today!